Kansas City’s Nick Schnebelen is becoming one of the fastest rising blues starts today. 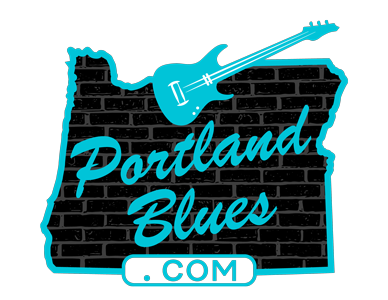 The Seattle Post-Intelligencer states that Schnebelen offers “[e]chos of the blues like Freddie King, Buddy Guy . . . Nick Schnebelen’s world-class guitar playing leads the way.” As a founding member of the award winning & popular family band Trampled Under Foot, Nick made a name for himself as an exceptional guitarist and performer. The band won the International Blues Challenge in 2008 with Nick taking home the coveted Albert King Award for best guitarist in the competition. The band went on to win two Blues Music Awards in 2014 for best band and album of the year. 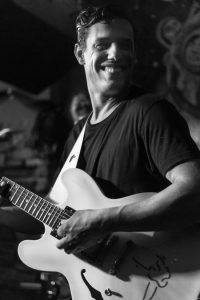 Following the break-up of the family band, Nick Schnebelen has found high success with his solo outfit, touring world-wide, featuring Nick’s raw blues energy guitar and vocals and backed by the rock solid rhythm section of Cliff Moore on bass and Adam Hagerman on drums. Touring in support of his latest release, Live In Kansas City, the Nick Schnebelen is bringing excitement across the country with their dynamic performances. Nick Schnebelen will be coming to the Portland area for a night at The Lake Theater & Café on Monday, August 28 at 7:00 pm. Tickets for this show can be purchased at Laketheatercafe.com for $15.00. The Lake Theater is located at 106 N State Street in Lake Oswego.